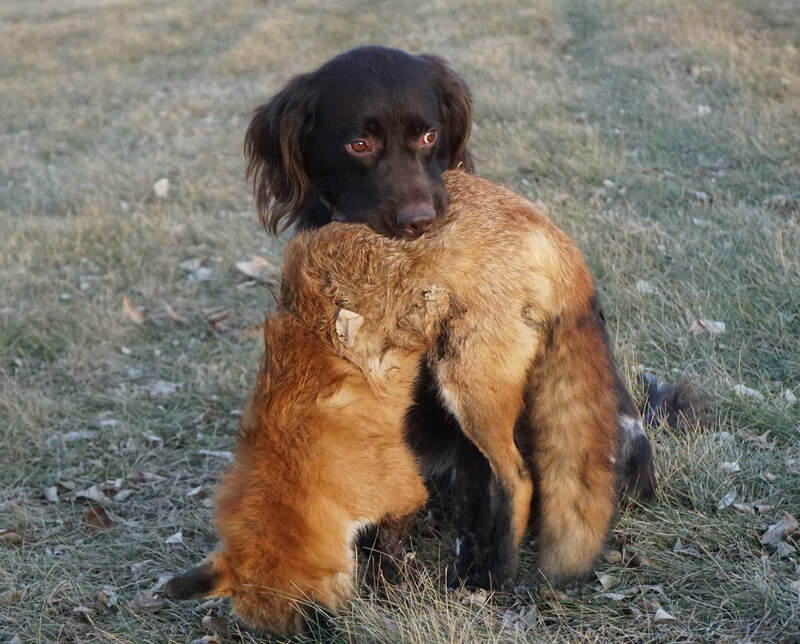 In Dec. 2018 Zandor tracked this wounded fox, dispatched and retrieved it. 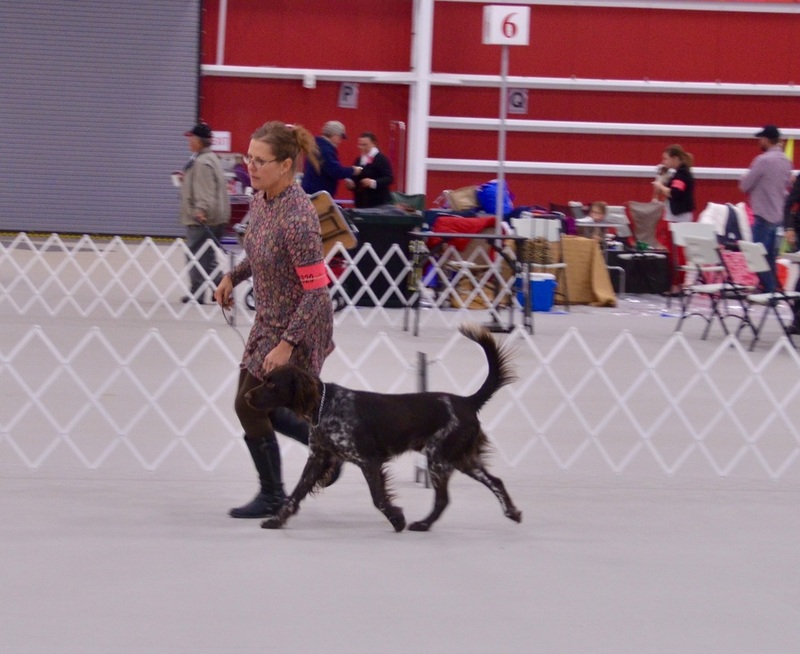 IABCA Best of Show Rare Breed- Hutchinson, MN - November 2016~the only SM to achieve BOS Rare Breed in the U.S.
Zandor is a very calm, stable and intelligent dog. 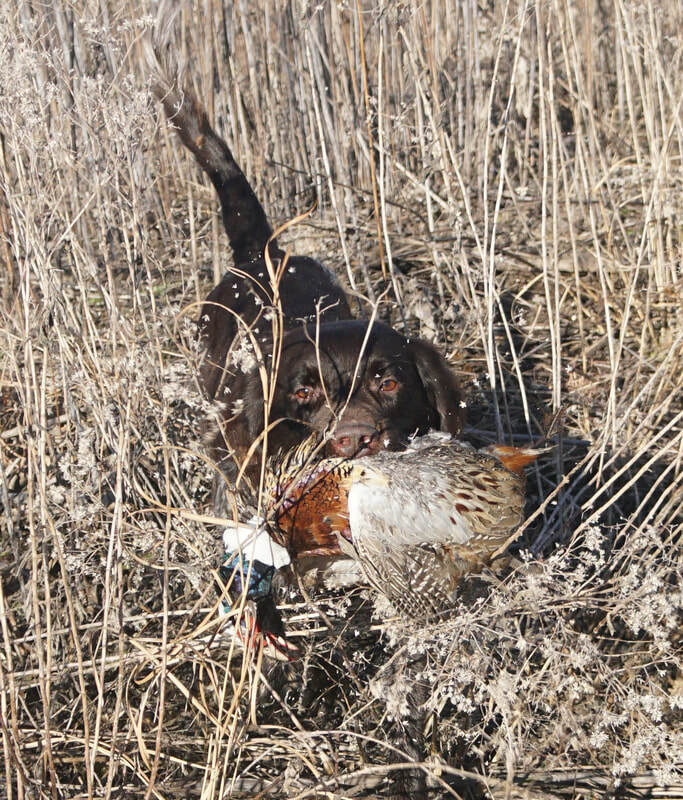 Zandor is truly a versatile dog with the ability to hunt upland game, waterfowl, furred animals and blood track. 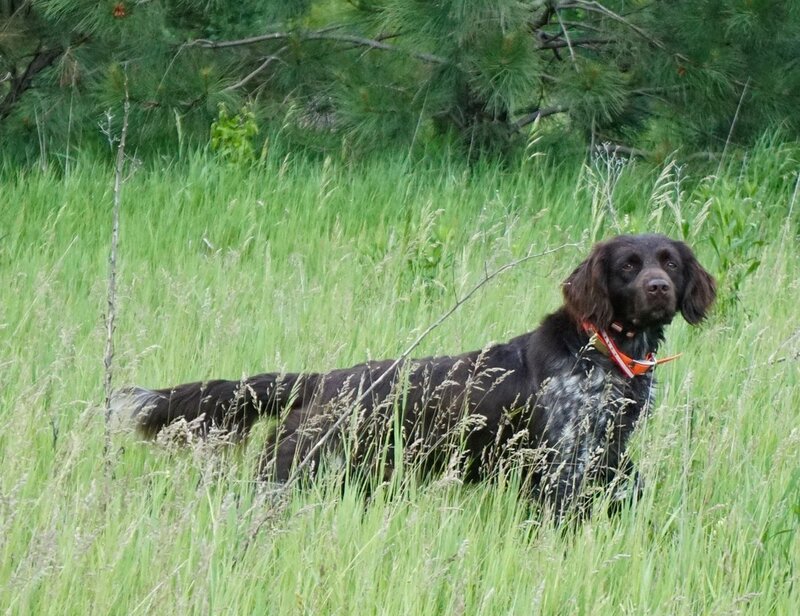 He is a vocal dog often letting us know when he has found furred game or when he is tracking wounded game. 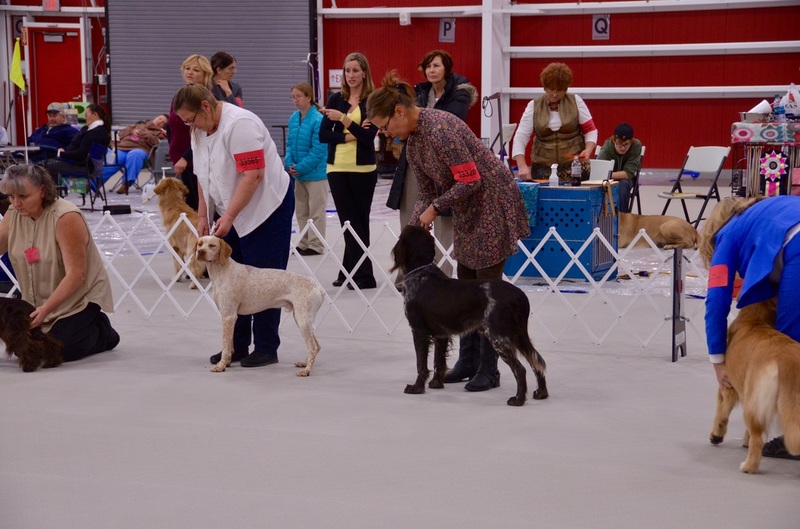 Zandor loves to work and he has been very easy to train. 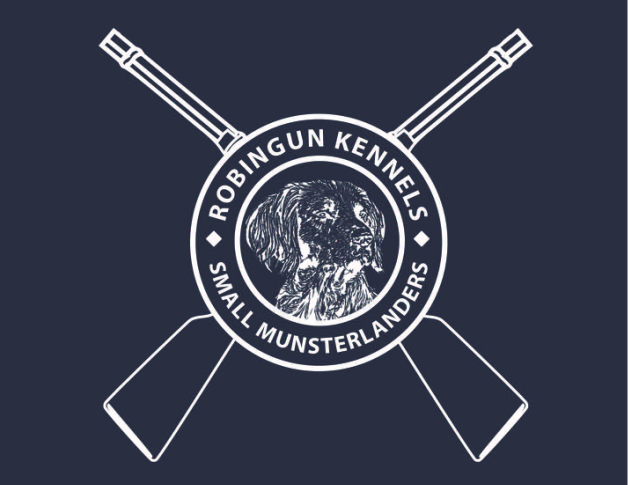 He has a persistent and productive field & duck search with the ability to hunt all day and he is a calm mannered dog in the house and around other dogs and pets. 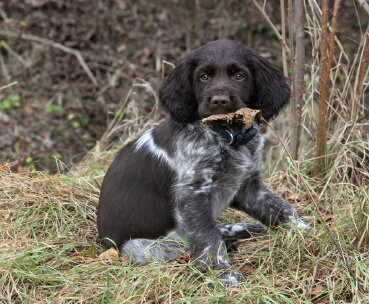 He has proven himself as an excellent hunting companion and pet in our home. 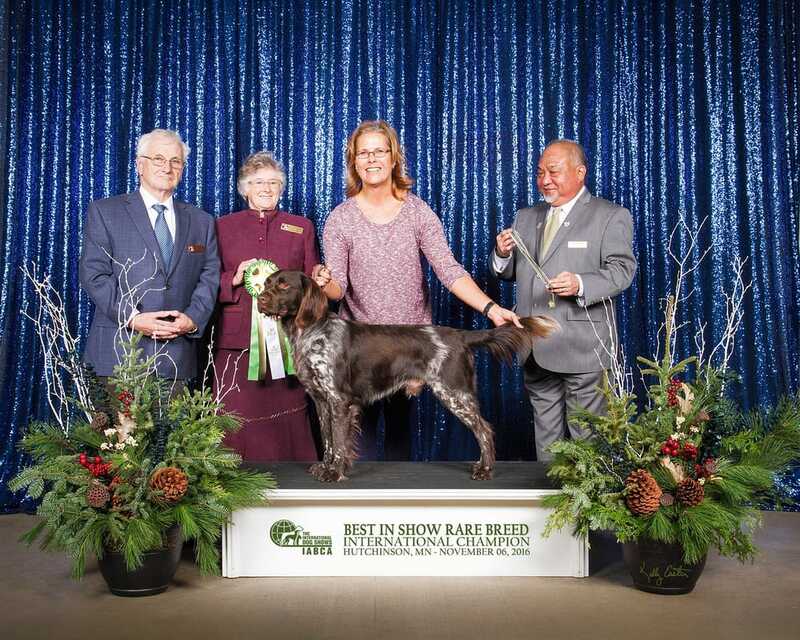 Zandor was imported from Germany and his breeder, Uta Schumann, is one of the most respected breeders in Germany and she has been breeding and testing dogs in Germany for over 40 years. 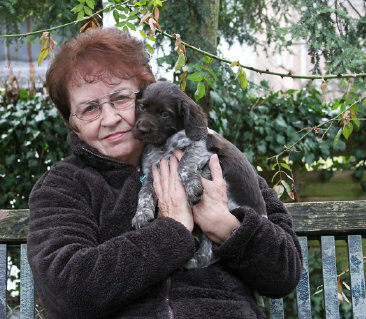 We are the first to import a dog from her kennel into the United States and we are honored to have Zandor in our home. 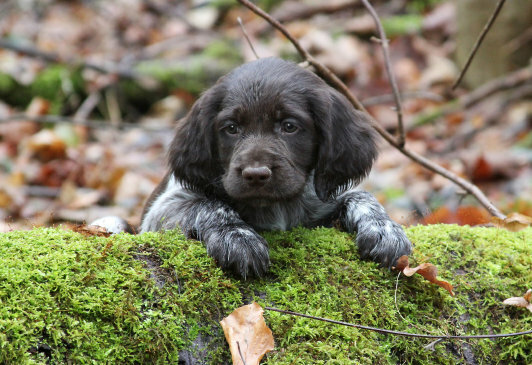 We are thankful for the friendship we have formed with Uta and we know that Zandor will have an everlasting, positive impact on the Small Munsterlander gene pool in the United States. 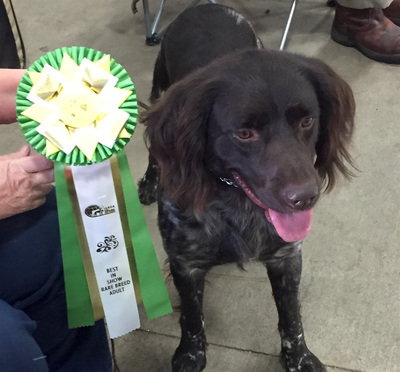 At six years of age he has already earned more Sire Awards than any SM in the United States. Zandor is one of the best dogs we have ever owned. 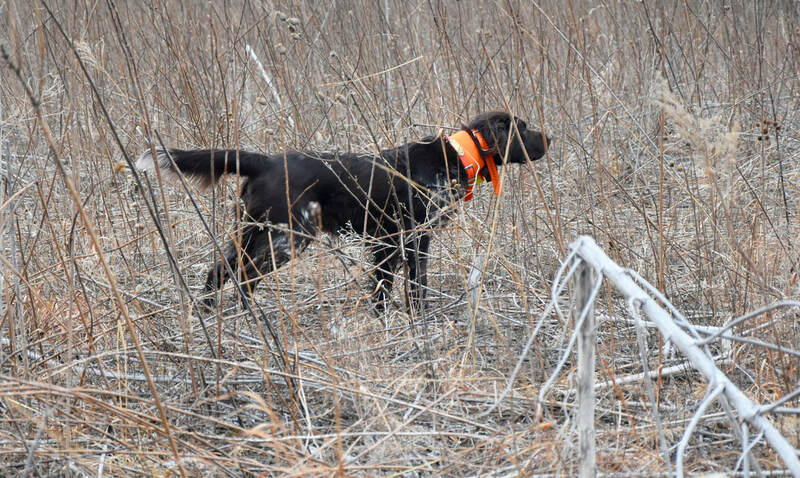 Above and to the right: Zandor in March of 2018 pointing and retrieving a pheasant at Beede Outdoors, LLC where we frequently guide for hunters. 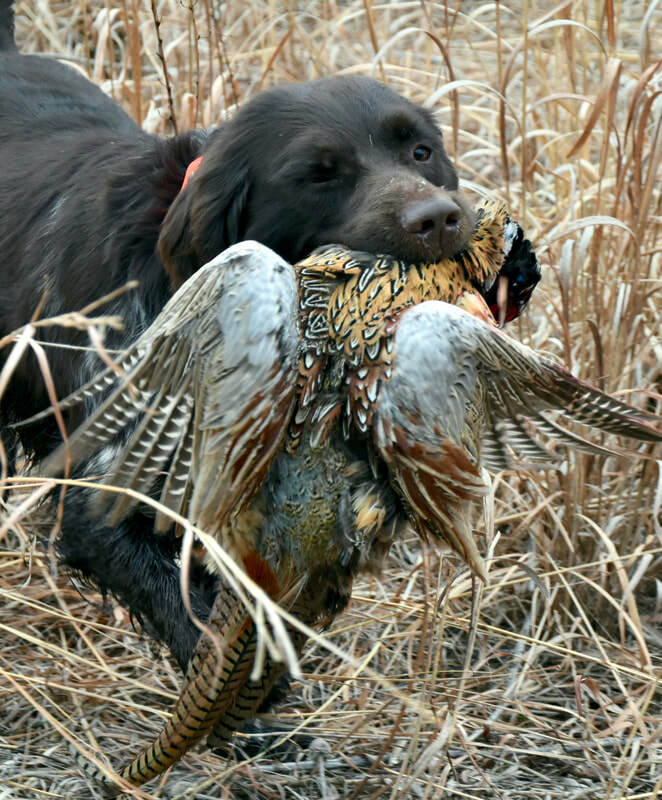 Zandor doing retrieval work with a fox he dispatched in December of 2018. Below are photos of pups/dogs sired by Zandor that are from other SMCNA breeders.